Chhattisgarh Police recovered banners and posters placed by the outlawed Maoists who gave a call for election boycott in the strife-torn districts of Bijapur and Sukma. 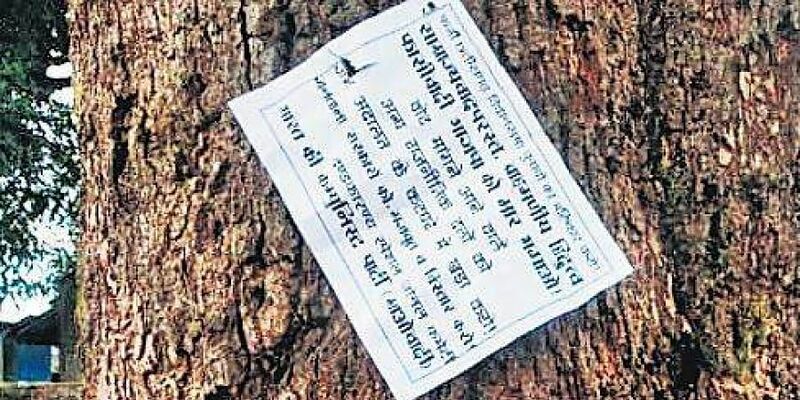 RAIPUR: Ahead of the Assembly polls, Chhattisgarh Police recovered banners and posters placed by the outlawed Maoists who gave a call for election boycott in the strife-torn districts of Bijapur and Sukma about 350 km south of Raipur. Citing the election process as “fictitious” the Naxalites this year have issued a diktat to the villagers and their cadres to bring the political leaders who visit them during the election campaign to the ‘jan-adalat’ (kangaroo court). The Red brigade has nailed pamphlets and banners in support of it in the interiors. “Bring them (politicians) who visit you seeking support and votes to the ‘jan-adalat’ where decisions would be taken (by us) on their canvassing. But chase away the BJP leaders”, the Maoists said in their statement. Owing to the Red terror the candidates and their supporters usually avoid campaigning in remote locations and restrict themselves to urban, sub-urban areas and major villages. At the most they visit the weekly bazaar of the tribal villages to interact with the masses. There have been instances in the past when the Maoists have killed politicians who have gone to the interiors for campaigning. In 2008, two BJP leaders were hacked to death at Nakulnar in Dantewada. “The Maoists have announced poll boycott. They are holding meetings in the villages and intimidating the villagers. They are asking them not to vote but we are simultaneously carrying out confidence-building measures, visiting tribal hamlets and interacting with the local populations. Our preparations are well in place to ensure free, fair and peaceful elections in the entire Bastar region”, Vivekanand Sinha, Inspector-General of police (Bastar Zone) told TNIE.The administration has provided security to MPs, MLAs, ministers in Bastar. The police have asked the politicians to inform them and the respective district administration of the area they plan to visit.